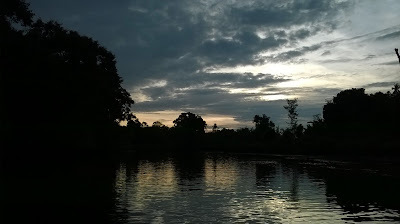 By 6pm, the Klias Wetland is already dark. 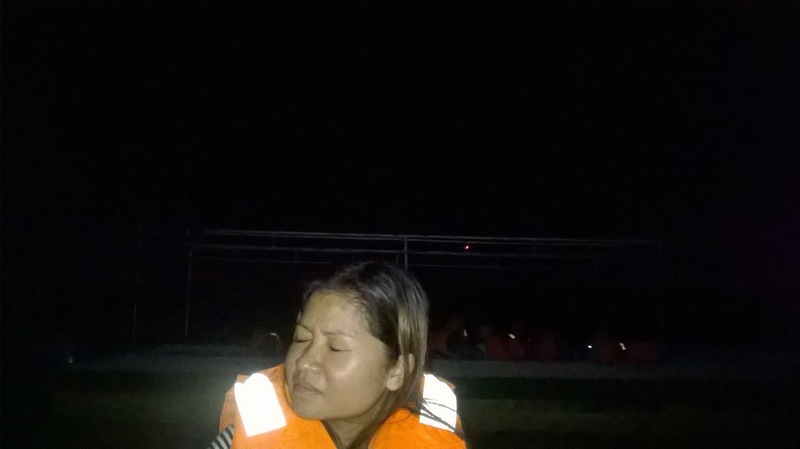 The boatman told us that we have to go back at the platform for dinner, and then, at 7pm, we will board the boat again; this time cruising in the dark! "The only light you will see will be the stars and the fireflies; IF the fireflies comes out. There is no guarantee we will see them because of the wet season; but so far sighting was never miss," the boatman tried to reassure us without promising. A simple but splendid dinner was included in the tour package. The food was nice; kampong dishes with local fruits for dessert. I think most of us enjoyed the serving judging from the Japanese tourists laughing and giggling as they dined. However, everyone were anxious for the next outing. Will we see the fireflies? 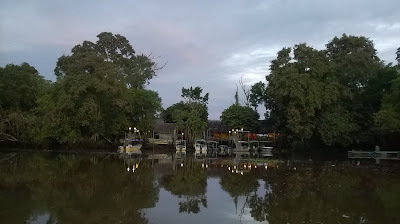 I noticed there are a lot of abandoned and deteriorating boats and resort platforms along the river bank: it sure are eyesores. I was informed by one of the tour guides that this was due to the severe competition tour operators are facing. The newcomers don't bother about quality; they just want quantity. In the end, tour operators with passion and love for this industry also suffered because of these fly by night operators who slash prices just to get the business. The government should focus only on giving license to the few responsible operators and subsidize them for beautification and upgrading their premises. Besides, too many visitors also stressed the ecology of the wetland. Sorry for digressing; but now back to the trip story. It was pitch dark only to be lighted by the sky. The funny thing was that there weren't many stars but we still can see the silhouette of the mangrove forests and the clouds above us. After thirty minutes or more cruising into the swarm, we still didn't see anything. We can see the boatman desperately trying to find any glimpse of the fireflies as he searched the banks with his spotlight. We saw many juvenile crocodiles as the light sparkled their emerging eyes slightly above the river! We were about to give up when we suddenly saw the whole mangrove forests lighted up like a christmas trees! The whole banks on both side were lighted up and it was indeed a spectacular sight! Everybody tried in vain to take pictures; nothing came out. The boatman smiled at us. "The professional photographers with sophisticated cameras also tried to take pictures of these insects. Only a few of them succeeded," he told us. It was indeed a memorable moment!